We've been keeping a close eye on Begyle's much anticipated taproom since they held their community meeting back in October. 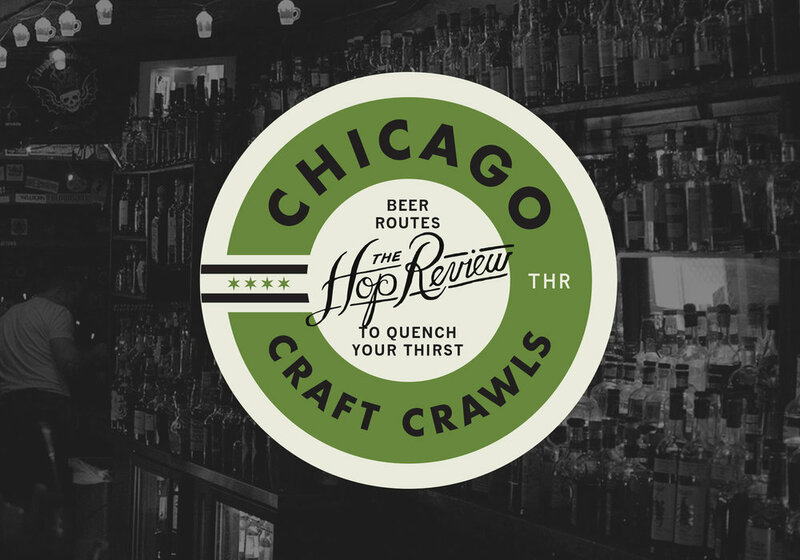 During our last visit with co-founder Kevin Cary, he said, "Ideally we'd be open for Chicago Craft Beer Week, but I'm putting the likelihood of that happening at zero percent." Well, it turns out he was wrong! Begyle will officially reopen as a taproom this Wednesday, May 13th. We tracked down Kevin during this busy time to get the latest details on the new space. The place is looking great! Seems like you've hit on a really relaxed vibe here. Yea, it's pretty casual, kind of like a coffee shop. We're really going for that feeling; a place where you can hang out. There are going to be no seats at the bar. People will order at the bar, come sit down, hang out, have a good time... almost like a European vibe to it. What about the front of the space, in front of the bar? You'll still be selling beer-to-go of course. We're going to leave the front clear for people to congregate and figure out what they want to do. They'll be a tasting side of the bar, almost like when you go wine tasting. You can taste something small, buy something and leave, or you can hang out and stay for a while. People who want to get growlers to go will be on the left side, people who want to buy pints and stay can order at the tablet and sit down. They could also order from their table as we'll have someone floating around. We won't have full table service, but we'll have somebody who's going to float around the room and make sure people are taken care of. I presume you'll have new opening hours? What will those look like? We'll be open 12-9 during the week, 12-10 on Fridays, 11-10 on Saturday, and noon to 7 on Sundays. We'll be opening at noon for a while and once we get a cafe license we'll be open and do coffee in the morning. I'm not sure what the timeline is on that yet. You've got a pretty intimate space here. What's the capacity look like? Capacity is 45 people in the tap room and 20 in the store. But we only have seats for about 40 in the actual tap room. One of the reasons we chose to do that is because we're on a residential street so we didn't want to go over what our neighborhood can handle. We have limited hours, only being open till 9, and we've given it more of a cafe feel versus a bar. We don't want it to feel like a bar where you're pounding beers. We want it to be a place where you can have a good time, then move onto one of the more professional style drinking establishments in the neighborhood. We have a lot of accounts in the neighborhood, bars and restaurants that support us. If they come here first, or go there first for dinner then come here, that's kind of where we're at. We don't really want to be a late night bar. Last time we were in, you spoke about wanting to have food trucks. What's the plan on that front? You can bring in food, you can order food. We have the side roll-up door and we'll have a food truck for lunch and dinner on certain days. We'll figure out a schedule to make sure we have a food truck every night. We love food trucks and support them quite a bit. We also have 200 people that work in our building. So whether it's lunch or dinner, not only would we benefit from it, but the people in the neighborhood and the people that work here would too. No plans to have a kitchen then? We don't want to manage a kitchen, but we have enough great food trucks that we could do tacos on Wednesday, perogies on Thursday, pizza on Friday.... It's such a cool idea that you could basically switch up your menu every night. There's no reason for us to open a kitchen, because these food trucks are doing such an awesome job. You held your first CSB (Community Supported Brewery) party of the year earlier this week. Any further plans to get your supporters in here? Yea, we missed the first party in the first quarter because we had some dirt piles. It wasn't fit for people to be in the brewery. We'll make up for it, we've got something brewing for June. We'll have a big celebration of this neighborhood, this block specifically. We're going to do a grand opening party for the taproom, kind of like an unofficial 3 year anniversary party for us. Our neighbors at the mosaic school are celebrating their 10th anniversary, so we'll work that in as well. Completed taproom photography by Mike Purgatori. Other photos by Jack Muldowney. We couldn't be more excited for this addition to the exploding Northcenter craft beer scene. If you get a chance to check out the new spot, let us know your thoughts. We'll see you there!